(p. A3) Bringing the blur of a distant world into sharp focus, NASA unveiled its first intimate images of Pluto on Wednesday [July 15, 2015], revealing with startling clarity an eerie realm where frozen water rises in mountains up to 11,000 feet high. At a briefing held Wednesday [July 15, 2015] at the Johns Hopkins Applied Physics Laboratory in Laurel, Md., mission scientists said they were stunned by what the images reveal. “It is going to send a lot of geophysicists back to the drawing board,” said Alan Stern, the New Horizons project’s principal investigator, from the Southwest Research Institute in Boulder, Colo.
ROBERT LEE HOTZ. “Across 3 Billion Miles of Space, NASA Probe Sends Close-Ups of Pluto’s Icy Mountains.” The Wall Street Journal (Thurs., JULY 16, 2015): A3. Smart and Energetic Young Adults in France Find Opportunity in England, Australia or the U.S.
(p. A6) The income gap between generations is even more severe in France than in the United States, said Louis Chauvel, a French sociologist who has also worked in America on income inequality and other issues. On top of that, Mr. Chauvel added, the United States economy has been rebounding, while unemployment in France has been rising since 2008 and has hovered around 10 percent for the last two years. “In the U.S., the young 25-year-olds have lots of opportunities,” he said. “It’s generally much better to be relatively young in the United States than to be aging. Young adults in France see their taxes going to finance social benefits for retirees that they believe they will never receive, Mr. Chauvel added. The most energetic and smartest among them do find jobs, he said, but often they can do it only by leaving France for Britain, Australia or the United States. ALISSA J. RUBIN and AURELIEN BREEDEN. “‘Song for French Charity Strikes Discordant Note.” The New York Times (Weds., MARCH 4, 2015): A6. Author Art DiamondPosted on September 29, 2015 Categories Britain, Economics, France, Labor EconomicsLeave a comment on Smart and Energetic Young Adults in France Find Opportunity in England, Australia or the U.S.
(p. 11) “NeuroTribes” is beautifully told, humanizing, important. It has earned its enthusiastic foreword from Oliver Sacks; it has found its place on the shelf next to “Far From the Tree,” Andrew Solomon’s landmark appreciation of neurological differences. At its heart is a plea for the world to make accommodations for those with autism, not the other way around, and for researchers and the public alike to focus on getting them the services they need. They are, to use Temple Grandin’s words, “different, not less.” Better yet, indispensable: inseparably tied to innovation, showing us there are other ways to think and work and live. JENNIFER SENIOR. “‘Skewed Diagnosis; A Science Journalist’s Reading of Medical History Suggests that the ‘Autism Pandemic’ Is an Optical Illusion.” The New York Time Book Review (Sun., AUG. 23, 2015): 11. Silberman, Steve. Neurotribes: The Legacy of Autism and the Future of Neurodiversity. New York: Avery/Penguin Random House, 2015. (p. C12) Sixty years ago, on July 18, 1955, the “Happiest Place on Earth,” better known as Disneyland, opened to the public. But on that day, the former orange grove in Anaheim, Calif., was one of the most miserable places in America. A heat wave caused the park’s new asphalt to stick to people’s shoes. A gas leak forced parts of the site to close, a plumbers strike led to a water shortage, and lax security resulted in dangerous overcrowding. AMANDA FOREMAN. “HISTORICALLY SPEAKING; From Gladiators to Mickey Mouse: Disneyland Turns 60.” The Wall Street Journal (Sat., July 18, 2014): C12. “New close-up images of a region near Pluto’s equator reveal a giant surprise: a range of youthful mountains.” Source of caption and photo: online version of the NYT article quoted and cited below. (p. A1) LAUREL, Md. — The first close-up image of Pluto has revealed mountains as tall as the Rockies, and an absence of craters — discoveries that, to their delight, baffled scientists working on NASA’s New Horizons mission and provided punctuation for a journey nine and a half years in the making. Only 112 years after the Wright Brothers were barely able to get their airplane off the ground, a machine from Earth has crossed the solar system to a small, icy world three billion miles away. The flyby on Tuesday, when New Horizons buzzed within 7,800 miles of the former ninth planet, came 50 years to the day after NASA’s Mariner 4 spacecraft made a similar first pass by Mars. KENNETH CHANG. 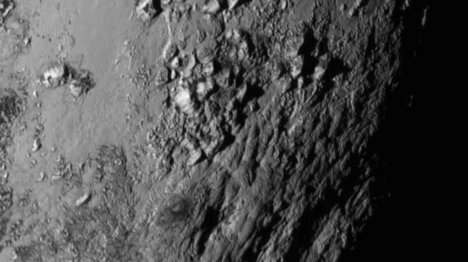 “Pluto’s Portrait From New Horizons: Ice Mountains and No Craters.” The New York Times (Thurs., JULY 16, 2015): A1 & A17. OHN THUNE and AJIT PAI. “Taxman, Won’t You Please Spare The Internet? ; A moratorium on taxing online access has been an unqualified success. Let’s make it permanent.” The Wall Street Journal (Fri., July 18, 2014): A11. (p. 22) . 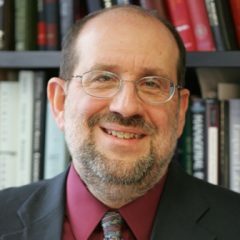 . . “Most Likely to Succeed: Preparing Our Kids for the Innovation Era,” by Tony Wagner and Ted Dintersmith — argues that the only way to ensure any kind of future security for our children is to totally upend the education system and rethink what school is for. “Disrupt” is a buzz word these tech-world gurus use sparingly, but that’s what they mean. Wagner works at Harvard’s Innovation Lab, Dintersmith in venture capital, funding education and tech start-ups. . . . Their argument is this: Public education in America is based on antiquated late-19th-century priorities, on the need “to educate large numbers of immigrants and refugees from farms for basic citizenship and for jobs in a growing industrial economy.” Most of the stuff children are forced to know, and on which our culture’s sense of achievement is based, is unnecessary in the age of Google. But tests and test-makers still run the show, and kids are required to “jump through hoops” and drill and drill to assimilate reams of facts (“content”) instead of learning the skills that will keep them employed and employable for years to come — which is to say, the skills to be entrepreneurs.
. . . the assumption that undergirds this whole tract: that every person can — or should — be molded into an entrepreneur. LISA MILLER. “Raise Them Up; A Vision of Education for an Entrepreneurial America.” The New York Time Book Review (Sun., AUG. 23, 2015): 22.